Fleas are every pet owner’s worse nightmare. This is designed to help pet owners understand the severity of a flea infestation with-in their home, not just for their pets but children and themselves. Fleas are small, adults no bigger than 4mm, usually brownish in colour and are equipped with piercing and sucking mouthparts. Their well developed back legs, means they can jump vast distances for their size. They have claws on their other legs which help with getting their way around long haired hosts. Adult fleas can live between 100 – 500 days depending on conditions and can endure long periods (3 – 4 months) without a blood feed. The adult female normally lays 4 – 8 eggs after each blood feed and in her lifetime can lay several hundred. Most eggs are often laid on its host and these usually fall off, meaning that fleas can be distributed to any area the host visits. Pet beds, human beds and sofas are the main areas eggs will be left. Eggs usually hatch between 2 – 14 days and start to feed on human skin scales and food crumbs. Within 18 days the larva could have completed their life cycle and become adult fleas but this could take more than a year in less favourable conditions. Fleas prefer warm, humid conditions and are often associated with the summer months, but with the introduction of ducted heating etc, are now capable of getting through a Melbourne winter quite easily. Fleas aren’t just an internal pest as sandy soils are also a great area for fleas to breed and wait for a blood feed, especially if under cover. Fleas have gained pest status largely because of their biting habit, which can cause mild irritation or serve to transmit disease. Where a flea infestation is problematic within a building bites usually occur around the ankles or lower leg areas but can be anywhere as fleas in beds will make a meal from you. If you’re unlucky enough to get bitten the irritation associated with the bite varies between each individual. Some may not be affected but some may have irritation for days. Typically a cluster of bites may occur and can develop into a small red spot, surrounded by a reddish halo but seldom with swelling or blistering. If control measures are sought after, this normally is because of the frequency of bites more than pain or sickness from the bite. Allergic reactions can occur but these are seldom. Disease transmission can be attributed to flea bites mainly to dogs as the flea plays some role in the transmission of dog tapeworm. Flea control on all cats and dogs in your home is a must, so getting a registered flea control product from your vet is essential. Vacuum the entire house, including under furniture, on upholstery and along skirting boards on a regular basis and dispose of the contents in a tied plastic bag in an external bin. Wash your pets bedding on a regular basis. Retreat all your pets as directed on the flea control product, normally monthly and never miss a pet or treatment even during winter. 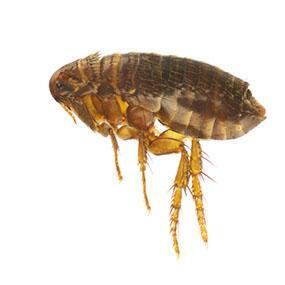 Flea treatments involve work being done by the client as well as the pest controller. Pets need to be treated by the client using a flea registered product or taken to the vets to be treated on the day of the treatment. Full vacuuming of the home must be done on the day, before the treatment is conducted. Pets bedding must be washed on the day of the treatment. Stored items should be removed from under beds so a treatment can be done in these high risk areas. Contact us for flea treatment details and an accurate price.